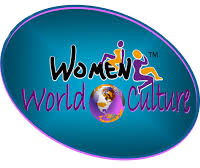 womenworldculture.com - Can I use the official Women of Color Day logo? Can I use the official Women of Color Day logo? on event flyers and program booklets only. Not permitted on any products for sale.